Platinum Art will examine estate, heirloom and personal collection pieces on premise to determine replacement value. Appraising is a complex procedure that must be performed by a professional experienced in the appraisal process. 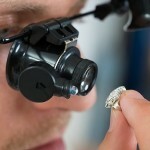 Your pieces will be carefully examined using gemological equipment , evaluated for quality and manufacturing techniques and valued based on the current market. 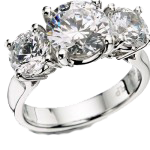 The most common reason to have a jewelry appraisal is for insurance replacement coverage. We also perform Estate Appraisals for insurance, law firms and individuals who are in need of valuing estates. The Goldsmith you will be working with has over 25 years of Goldsmithing and gemological education and experience. 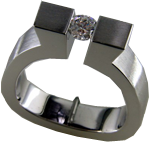 We recommend looking through your jewelry collection and updating your jewelry appraisals every three to five years. Most can be completed within a few days or with appointment some can be completed the same day. Please call for an appointment.today.